Salla is a municipality of Finland, located in Lapland. 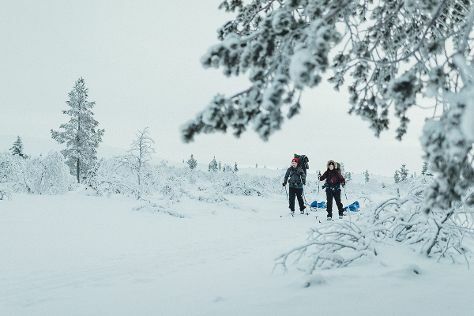 On the 9th (Wed), stroll through Salla Ski Resort, then learn about all things military at Salla Museum of War & Reconstruction, and then contemplate the long history of Paikanselan Taistelualue. For more things to do, maps, traveler tips, and more tourist information, read Salla trip itinerary site . Cranbrook, Canada to Salla is an approximately 28-hour flight. You'll lose 9 hours traveling from Cranbrook to Salla due to the time zone difference. While traveling from Cranbrook, expect little chillier days and about the same nights in Salla, ranging from highs of 3°C to lows of -1°C. Finish up your sightseeing early on the 9th (Wed) so you can travel to Tankavaara. 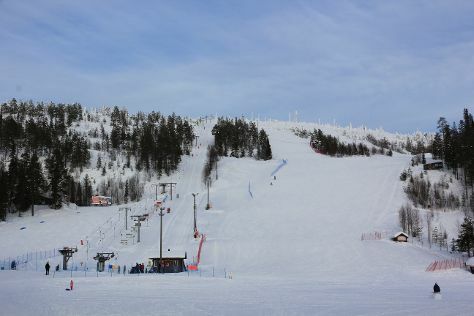 Start off your visit on the 10th (Thu): see the interesting displays at Gold Prospector Museum, then enjoy some diversion at Action Park, then stop by Hippupuoti Gift Shop, and finally fly down the slopes at Urho Kekkonen National Park. Get ready for a full day of sightseeing on the 11th (Fri): fly down the slopes at Saariselka Ski & Sport Resort. To find traveler tips, reviews, ratings, and other tourist information, you can read our Tankavaara itinerary tool . Traveling by car from Salla to Tankavaara takes 3.5 hours. In October, daytime highs in Tankavaara are 3°C, while nighttime lows are -2°C. Cap off your sightseeing on the 11th (Fri) early enough to travel to Inari. Start off your visit on the 12th (Sat): take in the spiritual surroundings of Saint Tryphon Pechenga Orthodox Church, then get outside with Lake Inari, and then pause for some serene contemplation at Pielpajarvi Wilderness Church. On the next day, examine the collection at Siida, then relax in the rural setting at Inari Reindeerfarm, and then get a dose of the wild on Reindeer Farm Petri Mattus. 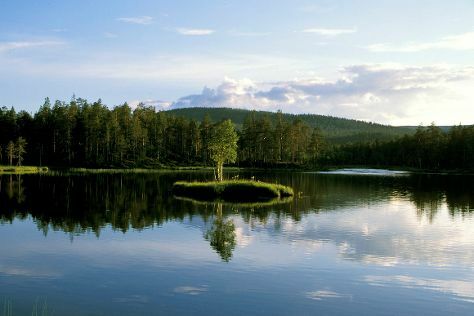 Plan my day in Inari using traveler tips and tourist information provided by Inspirock. Getting from Tankavaara to Inari by car takes about 1.5 hours. In October, daytime highs in Inari are 3°C, while nighttime lows are -2°C. Finish up your sightseeing early on the 13th (Sun) so you can travel back home.